Vince Lombardi Jr.: The words of Vince Lombardi's speech, What it Takes to Be #1 with Audio CD and FREE DVD , are paired with nine inspiring chapters from Vince Jr. to capture the essence of the Lombardi philosophy. The beauty of the message is it transcends football. It captures the fundamentals of success in sports, in business, or in life. About Leadership, learn more. Can't Keep It To Myself! From Angie of Racine, Wisconsin on 9/28/2011. Great read to pick yourself up and keep giving it your all! Everyone loves Lombardi quotes - it's not just for cheeseheads! Excellent Read From Megan of Branson, Missouri on 9/10/2011. Mac Anderson: As an entrepreneur for more than 30 years, I have met and worked with a great many leaders. The The Essence of Leadership with FREE DVD captures the most important lessons I've learned along the way. Some people think leaders are born. I don't. I think leadership skills can be honed if we understand our strengths and weaknesses. 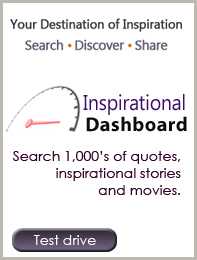 The Essence of Leadership is filled with stories that will inspire you to inspire others. About leadership, The Essence of Leadership with FREE DVD From Joe of Sandusky, Ohio on 10/9/2011. I really appreciate all the ideas presented in this book. The DVD is great. I most likely will use it in a leadership retreat. Keep up the great work. The Essence of Leadership From Sharon Weaver of Seminole, Florida on 9/18/2011. The The Essence of Leadership with FREE DVD has been a wonderful resource and guide for sharing leadership principals with the business group I belong to. Few of us are born leaders but this book shines a light on the path to being a good leader. 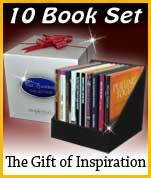 Best Value - : 10 book Leadership Desktop Collection Some of our best ideas come from you our customers and our 10 book leadership desktop set is one of them. We had a particular client who wanted to send the 10 book Leadership Desktop Collection to all of their store managers to create their own personal resource library. We took that idea and ran with it and created our new 10 book Leadership Desktop Collection. The response has been overwhelming!